It has been described as ‘the Lord’s of East Africa’ – now Rwanda’s national cricket stadium is bowling over engineering and architectural experts across the globe. 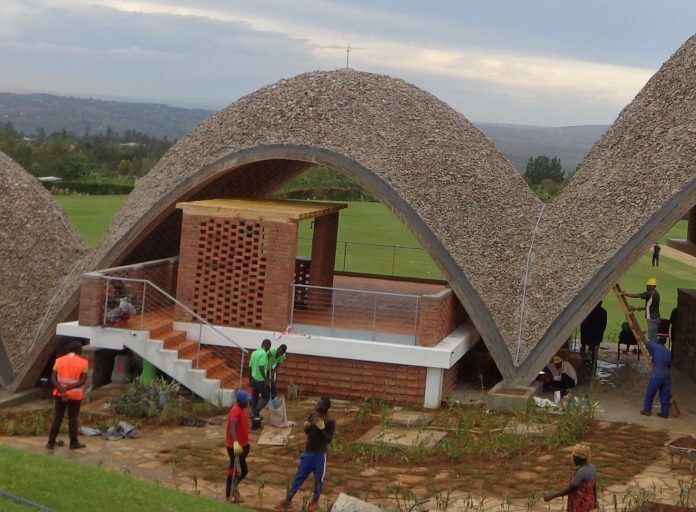 In the latest accolade, the highly-acclaimed Kicukiro Oval in Kigali has received the prestigious Institution of Structural Engineers’ 2018 award for small projects under £1m. It is one of the latest high-profile projects that multi-disciplinary planning, design architecture and engineering group FBW Group has been involved in across East Africa. FBW Group has operations in Uganda, Kenya, Rwanda and Tanzania, and a team of more than 30 professionals delivering high value construction and development projects in the region. FBW’s Rwanda operation was brought in to provide engineering support for the substructure and mezzanine of the ground’s striking pavilion building, as well as civil and MEP design and local oversight. The Rwanda Cricket Stadium Foundation charity raised the cash to build the spectacular new home of Rwandan cricket on the outskirts of the national capital. Its patrons include former UK Prime Minister David Cameron and former West IndiesEngland cricketer Michael Vaughan legend Brian Lara. The ground is providing a permanent home for the sport, helping its development and increasing opportunity for thousands of disadvantaged young people. Design architect Light Earth Designs employed the use of parabolic vaults to create the large span structures that house the ground’s pavilion. Effectively employed since the Middle Ages, with very ‘lightly engineered’ materials, the system is commonly referred to as a ‘Catalan Vault’. That ‘Catalan’ approach allowed the creation of a building that, when viewed from the pitch, forms a parabolic shape that perfectly matches a bouncing ball. It also evokes the hills of Rwanda that surround the venue. Members of the design team produced similar structures in South Africa, including the 2009 World Building of the Year – the Mapungubwe Interpretation Centre. The vaults are constructed from hand-pressed soil tiles with a minimal amount of cement added and were formed using a hydraulic hand-operated Hydraform press, allowing the majority of the labour required to produce the tiles to be locally sourced. Structural analysis was used to determine the optimal form of double-curved vaults that transfer forces down to the ground. The roofs have been waterproofed and topped with local granite that enhances the stability and creates a natural finish. The building is home to a restaurant, office, changing rooms and service areas, while the open-air mezzanines accommodates a bar and clubhouse with great views of the ground. The impressed award judges described it as a project that ‘demonstrates that local skills and local materials can come together to build something outstanding and of its time’. FBW Group has been successfully helping deliver projects in East Africa for more than 20 years and its roots can be traced back the North West of England. The major player in the region’s construction and development sector was founded in 1994 by architects and engineers working in Tanzania, including Geoff Wilks, from Stockport, who is still the chairman of the group. He divides his time between his structural and engineering practice in Manchester and East Africa. Architect Paul Moores, also from Manchester, is managing director and is based in the group’s head office in the Ugandan capital Kampala. He joined the business in 1998. The UK links continue with Stuart Hartley, from BoltonManchester, who is also a director and chief operational officer, operating out of the group’s Ugandan office, along with Nigel Tilling, from Warrington, who is director of architecture. Rob Woffenden, originally from Marple in Cheshire, is another member of the team. Formerly director of engineering in the group’s Rwanda office, he has now moved to its Kenyan office to help drive its expansion plans. The group, which has recruited some of the top talent in architecture, design and engineering in East Africa, offers a wide range of in-house professional building and technical services. They include pre-design services, development consultancy, building appraisals and condition surveys, project management, architecture, civil and structural engineering, MEP engineering, telecommunication engineering, and other building consultancy services. In Rwanda the practice is working on a number of tourism related development projects on behalf of international investors, with more in the pipeline. FBW’s portfolio of successfully delivered developments include the British High Commission in Uganda, several high profile commercial office towersand residential developments in the city and the Kampala International School as well as the National Teachers Colleges and hotels on the shores of Lake Victoria. In Tanzania the group has delivered hotel resorts, hospitals, shopping centres and a major mixed-use development in the capital Dar es Salaam. Its other Rwandan projects include retail, commercial and transport hub in downtown Kigali, a signature library building for the Kigali Institute of Science and technology, as well as a number of tourism and leisure developments. FBW has also successfully completed engineering projects for a range of businesses including a local Coca Cola bottling company and breweries in the region.